Samsung Level-On review | What Hi-Fi? Samsung is not the first name that springs to mind when we consider headphones, but the company is trying to change that – hence the range of in-ears, on-ears and over-ears, named ‘Level’ for some reason. The Level-Ins didn’t set our world on fire – will the Level-Ons fare any better? Sadly, no. The price is too high for what is on offer. It’s not nearly the level of sound quality we’d expect for £170. It’s not that they do anything particularly badly – it’s just, for the money, we’d expect something special. Instruments are not as distinctive as they are on similarly-priced rivals. They’re not that agile either, with timing not as snappy as it should be. Dynamic punch is also rather lacking, failing to impart any authority. We’d also like a greater sense of space and better definition. Drumbeats, for example, could be tighter. All in all, the Level-Ons make for a lack of engagement and excitement. They won’t offend – but they won’t properly entertain, either. 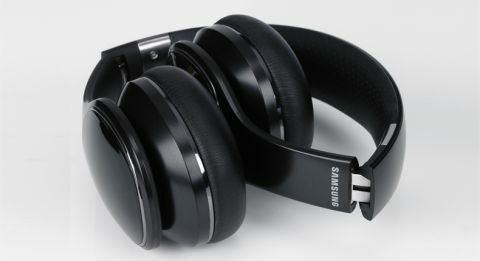 What makes matters worse is that these are designed with Samsung Galaxy devices in mind. The controls wouldn’t work properly elsewhere: on our LG G3 the volume would only go one way, and on our iPhone 6 we couldn’t pause or play. It’s not a great way to bring non-Samsung users into the fold. As for the design, it’s all about pebbles. We last heard Samsung mention pebbles in 2012, around the launch of the Samsung Galaxy SIII smartphone. There was a lot of talk about the inspiration of polished, elegant and organic designs. Here we are again. There’s too much plastic to remind us of pebbles, but they’re well made and comfortable to wear. They’re also fold up for stowing away. A nice zip-up hard case is provided. Our second encounter with the Samsung Level range is a disappointment. They don’t do any one thing wrong, but for the money we’d expect them to get a few things right.